Every artist has to decide for themselves, at some early stage of their careers, how they see themselves in relationship to the past. Even the most avant-garde artist makes such a choice, if by negation. For those interested in engagement with tradition, that choice often falls to some kind of imitation—whether literal replication, or the pessimism behind presumed inferiority with respect to the past. Who today, one could ask, would have the hubris to think they can rival Bernini, or Cortona, or Borromini? Yet that is how they saw their relationship with each other, and their contemporaries with them: emulation, rivalry by imitation, or competitive deference are each different ways of describing the same thing—a critical optimism about the possibility of exceeding one’s contemporaries or predecessors. I had the chance to see the wonderful Guardi show at the Museo Correr in Venice a couple of weeks ago, and learned that Guardi’s compositions often began with a Canaletto print—which he then transformed and translated into his own idiom of composition and brushstroke. It partly explains the often unconvincing perspectives in Guardi’s work that they are imitative without fully comprehending, but his brushwork comes off instead as a deliberate challenge to his more successful contemporary’s increasingly mechanical painting technique. Guardi was not mimicking Canaletto, he was challenging him—partly on Canaletto’s terms, partly on Guardi’s own. If their critical fortunes have oscillated vis-à-vis each other, it is only to say that they can never be confused with each other, that their affinities only serve to highlight their differences. 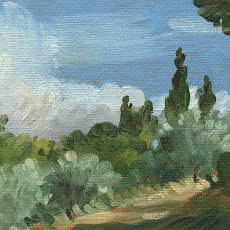 In another way, I saw the opening of a show in which I participated, of foreign artists working en plein air in Civita Castellana; the work of today’s plein air painters is a unique case of a living emulative tradition, where every artist acknowledges in some way or another the achievements of Corot and other models. The same might also be said of the genre of still life. 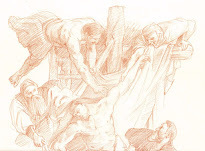 Maybe only a handful of fresco artists plays on the same emulative field; with so little opportunity there is really no emulative camp of classical figurative painters; portraiture, but its particular nature, resists comparison with previous work, except among the most elemental compositions (all the rhetorical staffage of Old Master portraiture is anathema today). 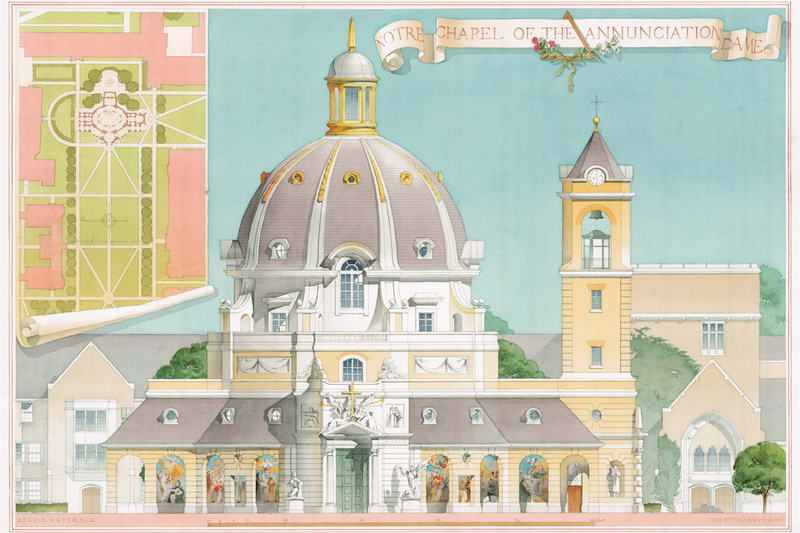 In architecture most classicists are too timid to be emulative, and the opportunities are not there in reality to prove them wrong (if we had a culture of paper architecture maybe the comparison could be made, but I may be the only practicing architect today who values that). 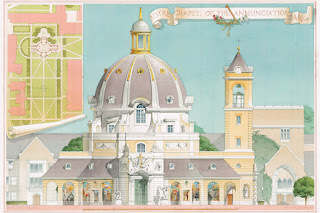 I promised myself this blog wouldn't be a rant, nor do too much critiquing, but rather advocate a Renaissance humanist approach to art and architecture for the modern world. I believe this is not only possible, but essential to building a better, more beautiful world. I'm a classical artist and architect inspired by the Renaissance and Baroque.